The Nations Most Popular Online Resource for OPTIONS in ESD Flooring! ESD Tiles starting at $4.16 PSF, Epoxy Paint starting at <$1.00, Concrete Sealers around $0.22 PSF. ESD Carpet at a mere $4.16 PSF. In STOCK and ready to ship! Huge Selection, Proven Performers, Realistic Prices and an EASY no hassle online buying experience! Lowest Price Guarantee: United Guarantees to provide the lowest Online pricing in the Nation on Quality ESD Flooring! Should you find a similar material at a lower published price simply let us know! We'll beat it by 3% and send you a free static control gift for your time! Save your esd program a substantial amount of money and eliminate the HEADACHES caused by poor quality flooring. Call United Static Control Products, the people that KNOW ESD Flooring (we should, we've installed and supplied it since 1993)! 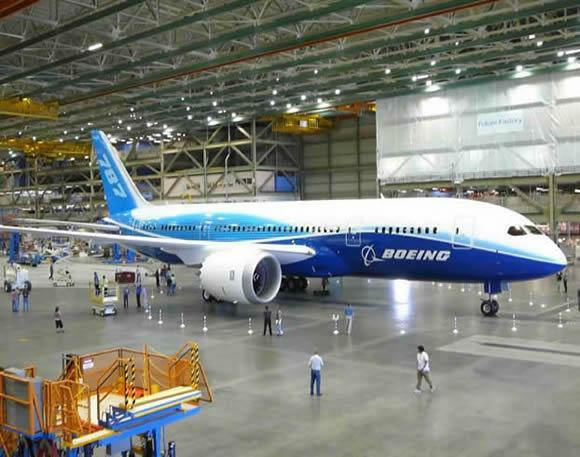 Our ElectraTile ESD Tiles are manufactured specifically for United SCP by one of the most technologically advanced ISO Approved ESD vinyl floor mills in the World. ElectraTile's NOT some bargain basement "close out special" destined to provide problems as your floor ages. ElectraTile features outstanding long term mechanical performance in a precision squared ACCURATE and easy to install 1' x 1' size. ElectraTile are heat treated and warranted against shrinkage and degradation over time. ElectraTile features FLAWLESS Static CONDUCTIVE Electrical performance that meets the latest ANSI, ESD & JEDEC standards for sophisticated mission critical static control programs. Don't get fooled, all esd tiles are NOT created equal. Handles rolling loads without breaking. Doesn't require ESD wax for conductivity. Meets newest ANSI ESD S20.20-2014, JEDEC and MIL standards. 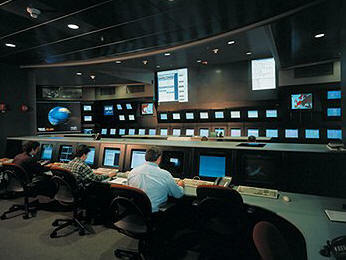 Powerful static control performance, major manufacturer and MILLIONS of square feet installed NATION WIDE! CLICK HERE TO BUY ESD TILES ONLINE! Outstanding Selections! 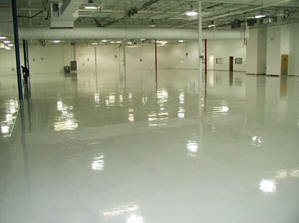 Our ElectraGuard esd epoxy floor paint system is THE most popular esd floor in the industry! *The basic 2 coat system is around $.97 PSF. The advanced tri-layer version of this system features ULTIMATE longevity, shine and ease of maintenance at an economical cost that is less than 1/3 of ESD Tile! ElectraGuard is a true two part epoxy for ultimate longevity. Many esd floor paints are latex based and must be re-applied on a yearly basis. Not so with ElectraGuard! ElectraGuard provides a TEN year life expectancy with PERMANENT electrical properties that are warranted for life. ElectraGuard Meets the latest ANSI ESD S20.20-2014 and DOD Standards for static control. Powerful protection from electrostatic discharge. A flooring selection that KNOWS the meaning of work! 10 Year life expectancy! Lifetime static conductivity! Last over 5 times longer than mere esd latex paints! Shipping cost a fraction of other flooring! 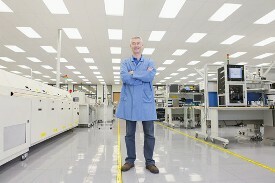 ESD (Anti Static) Carpet tiles are used to protect mission critical electronics. ESD carpet tiles are perfect for electronically sophisticated offices, 911 centers, file server rooms and more. Ours are Easy to install and perfect for DIY projects. Our esd carpet tiles start at less than $4.44 per Square Foot and include easy to use grounding hardware and 24/7 tech support at NO CHARGE with each order. Our carpet tiles are Comfortable to walk on! They provide outstanding sound deadening qualities, a TEN year wear warranty and reliable PERMANENT static control protection. The are provided in a safe yet reliable static dissipative range and are perfect for use around energized equipment. Highly stain resistant, easy to keep clean! Extraordinary sound deadening. Quiet is nice! Ultimate employee comfort and ergonomic support! Meets newest recommendations for static control and safety! >10 year warranty. Modular. Easy to install! Releasable adhesive makes it simple to replace worn, burned or stained carpet tiles. Easily compliant to ANSI ESD S20.20-2014! CLICK HERE TO BUY THESE ESD CARPET TILES ONLINE! ESD CONCRETE SEALER, LESS THAN $0.22 cents PSF! ElectraSeal is designed to work in concert with the concrete's existing conductivity. ElectraSeal smoothes out the concretes erratic electrical performance by adding permanent static dissipative qualities for outstanding static control. ElectraSeal provides a dust free substrate that handles THE heaviest of loads and abuse. ElectraSeal = Outstanding Value and Static Control Performance! ElectraSeal is easy to apply and handles vapor emissions and fast track construction without bubbling flaking or degrading. It's low VOC content meets THE most stringent of GREEN Building Standards. Great shine and easy maintenance. Top coat with ElectraGlaze for a sacrificial coating that may be high speed polished to a mirror like shine. VOC compliant to new green building standards! 3 Year life expectancy and easy to reapply! Handles rolling loads and severe traffic! The Nations Most Popular Online Resource for OPTIONS in ESD Flooring. Outstanding Selection, Realistic Prices and Easy to Buy Online.